Jade Ocean Sunny Isles Beach condo was designed by the architect, Carlos Ott. It is an all-glass structure of 54 stories high and looks absolutely stunning. Even a passing look onto this property would stun the viewers no matter which city they are coming from. View of this property is so beautiful that anyone would fall in love with this structure, even purely from architectural point of view. Among many attractive points of this property, its aesthetic design makes it very appealing. Appearance of this building is an ultra-modern and will attract anyone looking to buy an apartment in Sunny Isles. This building also offers smart home technology. Residents of this Jade Ocean condo will have access to an in-home touch screen which will allow them to contact the services of valet, concierge. They can also find places to shop, control the home’s lighting and much more. By downloading an app, residents of this building will be able to access these services even when away from the building. All these technological features make your life a lot more comfortable! 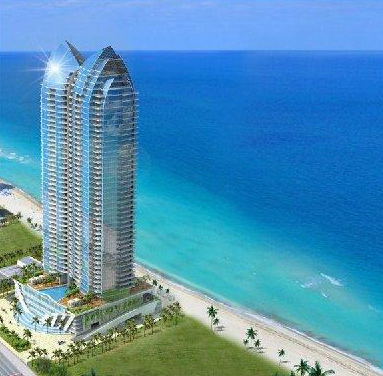 Jade Ocean Sunny Isles Beach condominium offers fantastic amenities. From infinity edge pools all around the building while it also features a stunning three story to full service beach, restaurant café, gym, spa, kids play room, 24-hour security, valet and even a splash deck for the little ones to enjoy. Among various such compelling attractions, value of this Jade Ocean property does tend to top. People would love the idea of purchasing an apartment at it because of its good value. There are many properties in Sunny Isles and many of them are popular right now. Popularity of Sunny Isles does not seem to diminish any time soon and considering it, the value of properties tends to be rising. In this property of Jade Ocean, there are many things that offers good value. Find it onside gym, a state of the art fitness center that offers weights and cardio equipment. Located at a place just a short distance away from Miami, this Jade Ocean property requires only a quick drive north to reach Fort Lauderdale. Residents will be close to the beaches, get to enjoy the nightlife, reach airport and anything else they might need to visit. These are just a few reasons to choose Jade Ocean condo as your home. If you feel interested into buying a unit of this property, do contact immediately so that you don’t lose out opportunity.